नागपूर : महाराष्ट्र लोकसेवा आयोगामार्फत घेण्यात येणाऱ्या पोलीस उपनिरीक्षक (पीएसआय) पदाच्या परीक्षेसाठी वयोमर्यादेत वाढ करण्यात आल्याची माहिती महसूलमंत्री चंद्रकांत पाटील यांनी विधानपरिषदेत दिली. खुल्या वर्गासाठी ही वयोमर्यादा 28 वरून 31 करण्यात आली आहे तर मागासवर्गीयांसाठी 31 वरून 34 करण्यात आली असल्याचे निवेदन महसूल मंत्री श्री. पाटील यांनी दिले. Previous articleMPSC च्या संकेतस्थळावरील चुकीची माहिती कशी बदलावी? MPSC राज्यसेवा CSAT ची तयारी कशी करावी? बाकीpost age limit ऐवढी psi ची age limit होणार का? becouse i in open catogery i complated 31 years. Next upcoming psi exam remain age 28 or as per new rule 31 is applicable ?????? sir.. By mistek i could not put my Adhar Card number in application form of S.T.I preliminary exam… then sir how i can manage this thing…! is there any process to put this number in form…! and other thing is that would i got chance to put my Adhar card number at the time of filing main examination form of S.T.I. and also is it neccesory to creat new profile for main exam.? plz. give advice. नमस्कार जयवंत, महाऑनलाईन हेल्पलाईन 022-61316402 वर किंवा support@mahaonline.gov.in या ईमेल आयडीवर संपर्क साधा. OBC vidyarthi jyanche vay 31 peksha jast aahe te psi exam karita apply karu shaktil ka? As per news from various sources the age limit for the PSI exam has been increased to 31 for the Open category candidates. However, I am not able to apply online. And the MPSC website still gives me a message that I am not eligble for the exam as I am 29 years old. 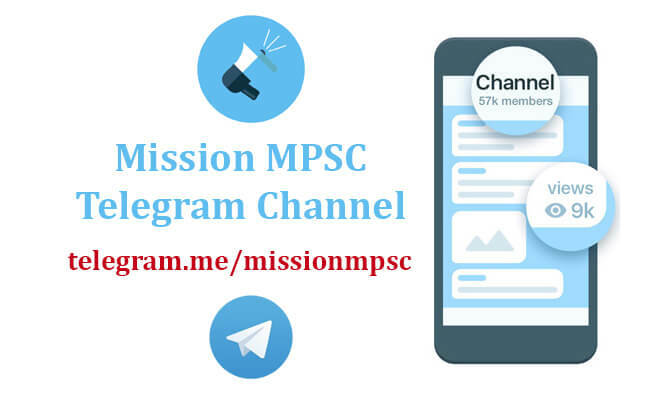 Will the MPSC website get updated for it ? महाऑनलाईन हेल्पलाईन 022-61316402 वर किंवा support@mahaonline.gov.in या ईमेल आयडीवर संपर्क साधा. department PSI sathi pan hi vayomaryada vadhali aahe ka? aani aata jhaleli psi department exam la pan lagu aahe ka. open sathi age limit 31 or 33.